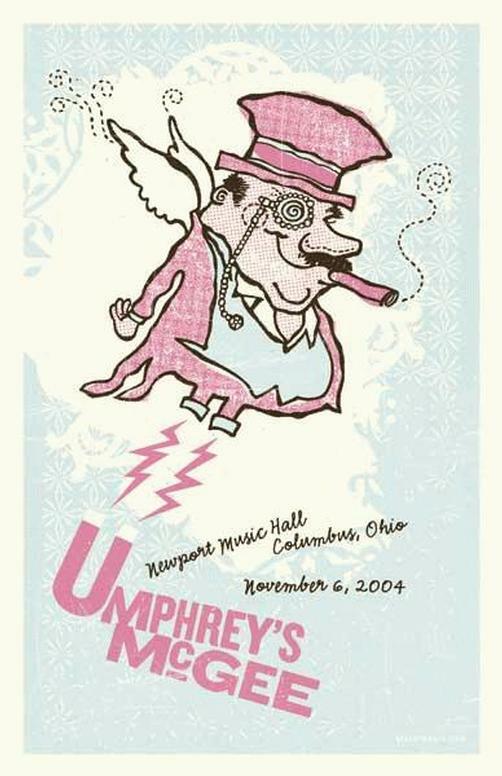 Limited edition silkscreen concert poster for Umphrey's McGee at the Newport Music Hall in Columbus OH. Limited Silkscreen edition of only 30!! Signed & numbered by the artist. 18x24 card stock. Also included is the original 11x17 digital offset print of the same image that was used for advertising the show. Art by FarmBarn.